Enjoy the ultimate in inflatable water sports on our Banana Boat Rides! Set off from Lusty Glaze in Newquay & hold on tight to see how long you can stay on the Banana as you blast across the bay. 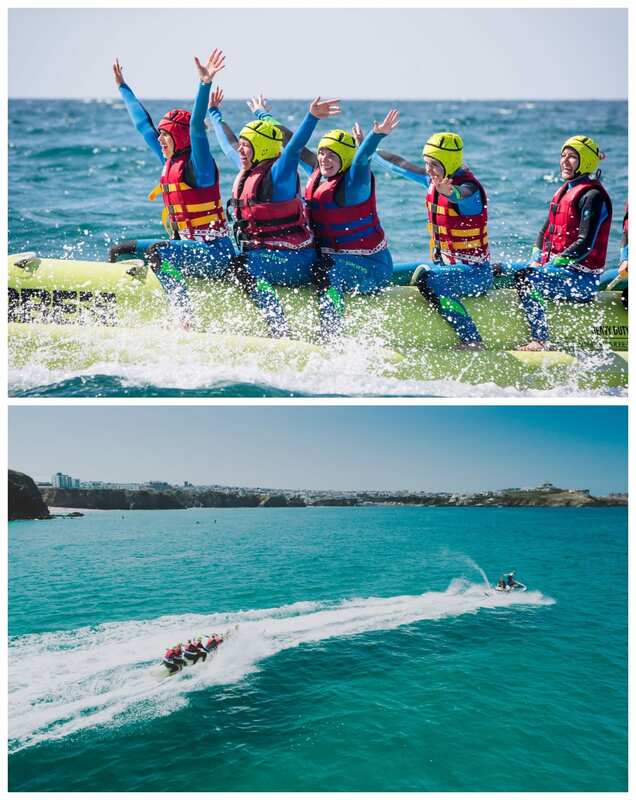 Every ride is tailored to your group requirements meaning our Banana Boat Rides at Lusty Glaze are a great group activity for families, friends, Stags and Hens.